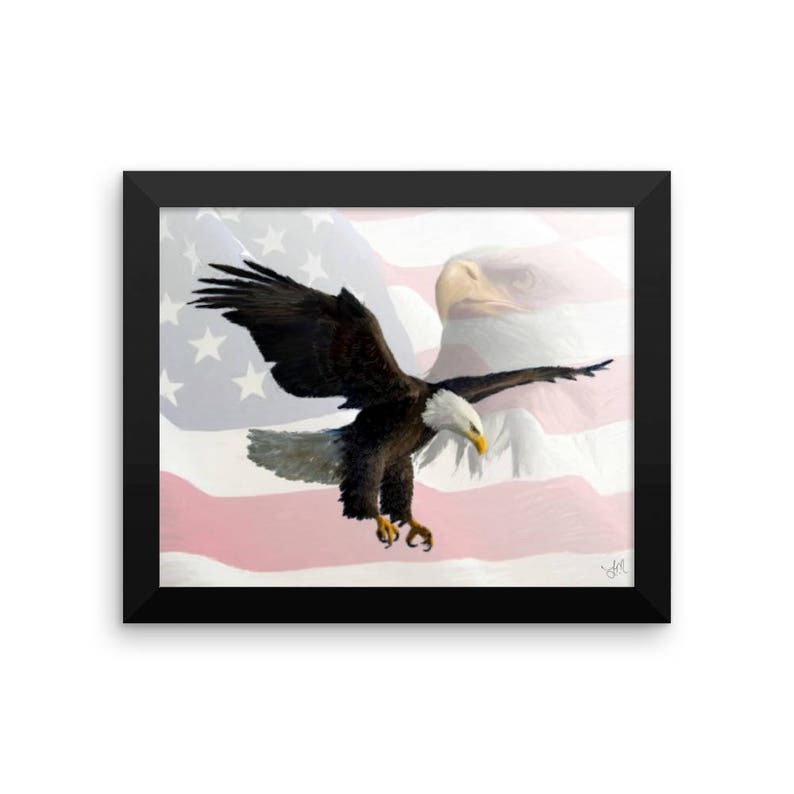 Support the USA with this framed print of the American Flag With A Bald Eagle. Shipped before time expected. And son is picking it all up so fast. If you receive a damaged/broken item please contact seller for a refund or replacement. You may be required to email a picture of the damaged/broken item or return the item to the seller for full refund. For items lost in the mailing process (usually after 30 business days) you will receive a full refund. If you purchased a digital print (via download or email) you will NOT get refunded as these items can not be physically returned to me. I ship with USPS Monday through Friday. Orders placed Friday-Sunday will not be shipped until Monday.